Did Starbucks Outgrow Its Cozy Essence? In Smart Growth, author Edward Hess argues that the iconic coffee retailer put growth before the customer experience. Excerpted from Smart Growth by Edward D. Hess. Copyright 2010 Columbia University Press. Used by arrangement with the Publisher. All rights reserved. Starbucks ( SBUX - Get Report) is a story of entrepreneurship, persistence, passion, great success, and recently, some poor growth risk management. Howard Schultz, the founder of Starbucks, was raised in a federally assisted housing project in Brooklyn, New York. His father was a truck driver and, as a young man, Howard watched how his father's employer treated him after he was injured and unable to work, leaving him without a job, benefits, and pension -- a beaten man. Schultz vowed that if he were ever a company leader he would never treat his employees that way. As a leader "he would not leave people behind." The drive to escape poverty and succeed helped make Schultz a super salesman, and his serendipitous introduction to freshly brewed coffee and the idea of becoming a purveyor of coffee became his passion. That passion led to his extraordinary persistence as he spent more than a year persuading the owners of the original Starbucks coffee roasting business first to hire him in 1982 and then to let him open a coffee café. But that was not enough for Schultz, who wanted to bring the coffee experience to even more people and to do so by his own standards for both the coffee and managing the business. To accomplish this, Schultz persisted for over a year to raise money to start his own coffee café business and to build it into a profitable high-growth company while keeping his promise to himself to treat his employees fairly. In his book Pour Your Heart Into It, Schultz stated that Starbucks was "living proof that a company can lead with its heart and nurture its soul and still make money." In that book, published in 1997, five years after Starbucks went public, Schultz stated: "A company can grow big without losing the passion and personality that built it, but only if it's driven not by profits but by values and people." However, that belief is now being tested. Starbucks went public in 1992 with Schultz serving as CEO until 2000. When he stepped down at the age of forty-seven, he remained as chairman. During his tenure as CEO, he built Starbucks into the leading international coffee café with approximately 2,500 worldwide locations and revenues exceeding $1.6 billion, making Starbucks a model for employee engagement and partnership by offering health care and stock options widely to its workforce. Orin Smith, who had joined Starbucks as CFO in 1990, succeeded Schultz as CEO from 2000 through March 2005. Under his leadership Starbucks grew from $1.6 billion in revenue to $4.5 billion. At the end of 2004, Starbucks operated 8,569 locations. Under Smith's five-year tenure, Starbucks added approximately 6,000 locations. Jim Donald, who had joined Starbucks in 2002 after a career in the grocery industry, including stints at Safeway, Albertsons, Wal-Mart and Pathmark, succeeded Smith as CEO. Under Jim Donald's three-year tenure, the push to expand Starbucks accelerated sharply. Donald added another 6,414 locations, translating into nearly 180 stores per month. Donald opened more stores in his three years than Smith did in five and more than Starbucks did in its first ten years. 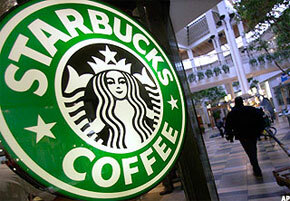 Donald's chief operating officer, Martin Coles, joined Starbucks in 2004, having come from Reebok. This is important because the two top leaders of the company came from outside the industry and from businesses with different customer value propositions than Starbucks. At the end of Smith's five-year tenure in 2004, Starbucks had total liabilities of $916 million with $2.47 billion in shareholder equity. At the end of Donald's reign in 2007, Starbucks's total liabilities had surged to $3.06 billion -- an increase of over $2 billion in debt, much of it financed as short-term debt, with total shareholder equity of $2.3 billion. Subject: The Commoditization of the Starbucks ExperienceAs you prepare for the FY 08 strategic planning process, I want toshare some of my thoughts with you. Over the past ten years, in order to achieve the growth, development,and scale necessary to go from less than 1,000 stores to 13,000stores and beyond, we have had to make a series of decisions that, inretrospect, have lead to the watering down of the Starbucks experience,and, what some might call the commoditization of our brand.Many of these decisions were probably right at the time, and ontheir own merit would not have created the dilution of the experience;but in this case, the sum is much greater and, unfortunately, muchmore damaging than the individual pieces. For example, when we wentto automatic espresso machines, we solved a major problem in termsof speed of service and efficiency. At the same time, we overlooked thefact that we would remove much of the romance and theatre that wasin play with the use of the La Marzocca machines. This specific decisionbecame even more damaging when the height of the machines,which are now in thousands of stores, blocked the visual sight line thecustomer previously had to watch the drink being made, and for theintimate experience with the barista. This, coupled with the need forfresh roasted coffee in every North America city and every internationalmarket, moved us toward the decision and the need for flavorlocked packaging. Again, the right decision at the right time, andonce again I believe we overlooked the cause and the affect of flavorlock in our stores. We achieved fresh roasted bagged coff ee, but atwhat cost? The loss of aroma -- perhaps the most powerful non-verbalsignal we had in our stores; the loss of our people scooping fresh coffeefrom the bins and grinding it fresh in front of the customer, andonce again stripping the store of tradition and our heritage? Then wemoved to store design. Clearly we have had to streamline store designto gain efficiencies of scale and to make sure we had the ROI on salesto investment ratios that would satisfy the financial side of our business.However, one of the results has been stores that no longer havethe soul of the past and reflect a chain of stores vs. the warm feeling ofa neighborhood store. Some people even call our stores sterile, cookiecutter, no longer reflecting the passion our partners feel about our coffee.In fact, I am not sure people today even know we are roasting coffee.You certainly can't get the message from being in our stores. Themerchandise, more art than science, is far removed from being themerchant that I believe we can be and certainly at a minimum shouldsupport the foundation of our coffee heritage. Some stores don't havecoffee grinders, French presses from Bodum, or even coffee filters.Now that I have provided you with a list of some of the underlyingissues that I believe we need to solve, let me say at the outset that wehave all been part of these decisions. I take full responsibility myself,but we desperately need to look into the mirror and realize it's time toget back to the core and make the changes necessary to evoke theheritage, the tradition, and the passion that we all have for the trueStarbucks experience. While the current state of aff airs for the mostpart is self induced, that has lead to competitors of all kinds, smalland large coff ee companies, fast food operators, and mom and pops,to position themselves in a way that creates awareness, trial and loyaltyof people who previously have been Starbucks customers. Thismust be eradicated.I have said for 20 years that our success is not an entitlement andnow it's proving to be a reality. Let's be smarter about how we arespending our time, money and resources. Let's get back to the core.Push for innovation and do the things necessary to once again differentiateStarbucks from all others. We source and buy the highestquality coffee. We have built the most trusted brand in coff ee in theworld, and we have an enormous responsibility to both the people whohave come before us and the 150,000 partners and their families whoare relying on our stewardship.Finally, I would like to acknowledge all that you do for Starbucks.Without your passion and commitment, we would not be where weare today. This is a remarkable e-mail. First, Schultz talks about the devastatingeff ect of the creeping dilution of the Starbucks brand -- several small stepstaken in the interests of efficiency and productivity that diluted the brandand the customer experience. This is an important point. Several productivityenhancements were made by Schultz's successors and perhaps no oneof them alone would have diluted the brand but, when added together theyhad enormous and, for Schultz, adverse consequences. With the ambitious growth agenda implemented by Donald, it is unclearwhether anyone seriously considered the impact of such growth on the customerexperience. Where were the critical inquiry, the constructive debate,and the constructive dissent? Were Donald and Coles caught up in scoringhigh quarterly earnings numbers? Did Starbucks consider or debate therisks of growth? Failing to consider these questions about the consequencesof growth is risky if an organization wants to avoid diluting the customerexperience that made them successful to begin with. 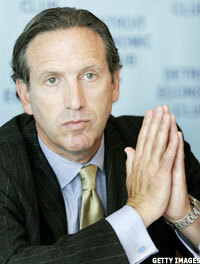 In his e-mail, Schultz implies that the rapid growth-dilution of the Starbuckscustomer emotional experience made it easier for competitors, suchas Dunkin' Donuts and McDonald's, to make inroads against Starbucks.Schultz's e-mail raises other issues as well: Why did Schultz put his concernsinto an e-mail that could be widely distributed rather than, as chairman ofthe board, have a heart-to-heart with his management team? Second, hedoes not talk about the potential cannibalization of its existing stores thatwould likely result from the significant new openings. Last, Schultz was concernedthat by its rapid growth Starbucks had lost its essence of who it was,which drove its customer value proposition and competitive differentiator.The drive for operating efficiencies and store opening efficiencies trumpedthe sight, aroma and feel of coffee. Did Starbucks lose its essence? Edward D. Hess is a Professor of Business Administration and Batten Executive-in-Residence at the Darden Graduate School of Business at the University of Virginia. He teaches MBA and Executive Education courses on corporate growth and has written eight books, numerous articles, and more than forty Darden case studies on the topic. His commentary has appeared in more than one hundred media outlets, including Fortune magazine, the Financial Times, CNBC, Fox Business News, businessweek.com, Forbes.com, Wallstreetcheatsheet.com, among others. For more information or to contact Professor Hess, please visit www.EDHLTD.com.